Getting a total knee replacement is a big decision. There is often a lot of pain following the surgery and an arduous rehabilitation period that can keep a patient out of work for weeks while having to go through physical therapy. Unless the patient broke his or her knee in a traumatic accident or attack of some sort, it’s generally considered an elective procedure. But the question becomes weighing the difficulty of coping with chronic and worsening pain versus undergoing a risky surgical operation – and all the recovery problems that may accompany it. Now, there may be good news for knee replacement patients. A recent news article from Pantagraph indicates patients may be able to hit the showers sooner. There has long existed a fear that showering any sooner than two weeks might increase the likelihood of a post-operative infection. Granted, the study is small, but it indicates no differences in bacterial swabs from patients who waited two weeks to shower compared with those allowed to shower after about two days. Researchers have started looking into this issue to see whether it is an actual scientific fact, or just something surgeons advise based on anecdotal evidence. To perform this research, scientists are taking bacterial sways from patients who waited two weeks to take a shower following a total knee replacement procedure and also taking bacterial swabs from patients who took shower two days following surgery. These swabs, after being tested, showed no difference in the amount of type of bacteria from either group of patients. 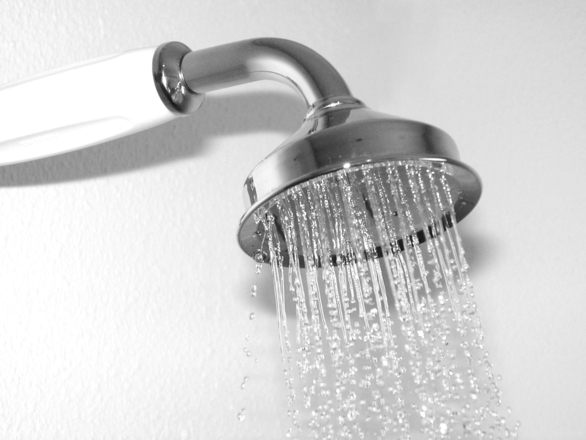 This is good news to those who do not want to wait 14 days following surgery to take a shower. However, it should be noted that this was a small study at a single hospital in the Midwest involving 32 total knee replacement surgery patients. 16 patients were allowed to shower two days following the operation, and the other 16 patients were told to wait the normal two weeks. While these results are promising, it is clear to researchers that a larger scale study must be performed before there can be conclusive evidence that taking a shower less than two weeks following surgery is an unnecessary wait. One thing to keep in mind is that while the vast majority of total knee replacement surgical procedures work fine and there are no serious consequences, the odds of complications go way up if the artificial knee being used in the operation was defectively designed. For example, as our Boston knee replacement injury attorneys have seen, the OtisKnee by OtisMed (now owned by Stryker) was shipped with a defective cutting guide. Not only was the cutting guide defective, the United States Food and Drug Administration (FDA) specifically told the CEO that they were not approving the cutting guide and that he could not ship it to surgeons. He chose to do so anyway, despite the prohibition from FDA, and that decision cost him a stay in federal prison. A cutting guide is used by a surgeon as a guide or template so he or she knows where to make a cut in the bone and tissues so that the new knee will fit as close to perfect as possible. If there is movement caused by an imperfect cut, that can result in pain and suffering and a possible complete failure of the artificial knee.